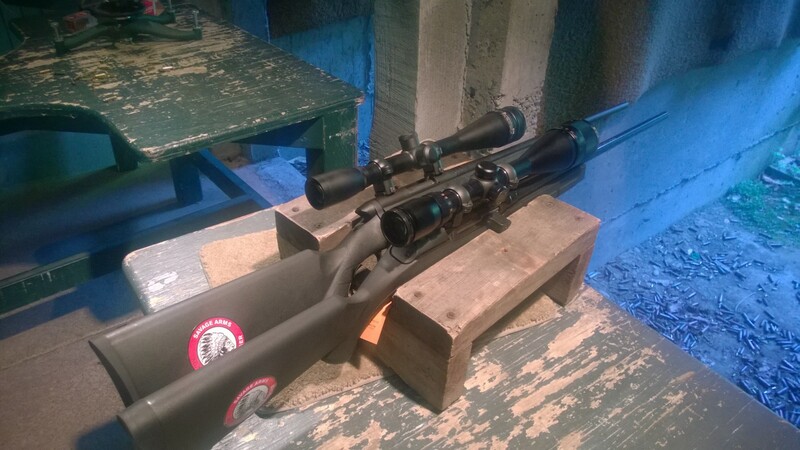 This weekend I got a chance to try out two new Savage 17 rifles - the famous B.MAG and the very, very new A17. The B.MAG wasn't actually that new. In fact, I picked up this rifle almost a year and a half ago, just when these rifles started to ship. Initially rifles were relatively plentiful, but ammunition was impossible to find. Then, about a month ago, ammunition started to show up, and as of this writing 20gr 17WSM ammunition is so plentiful - at least at our store - that we have no rationing policy in place. So I could finally take it out for a spin at the range. I have also just gotten another new Savage - the A17. Up to now the semi-auto 17HMR rifles were only made by Volquartsen, based on 10/22 design, and cost well in excess of $1000. 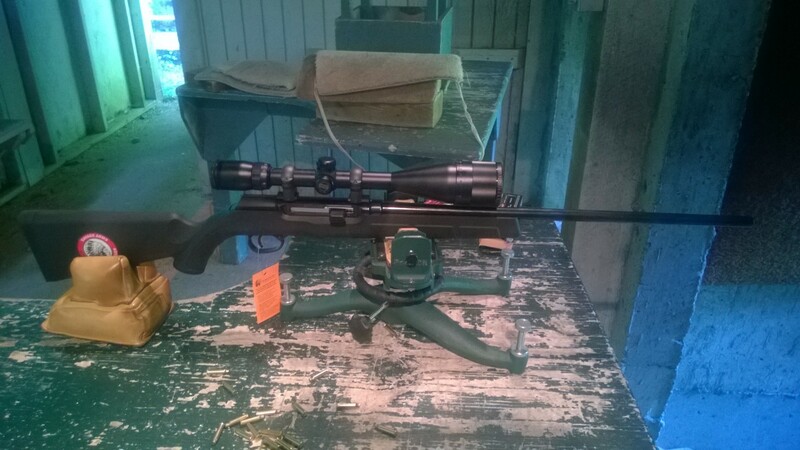 The A17 is the first commercially produced 17HMR semi-auto in "non-custom" price range. So when I got the first one at Precise Shooter, I had to try it, so I kept it to myself. 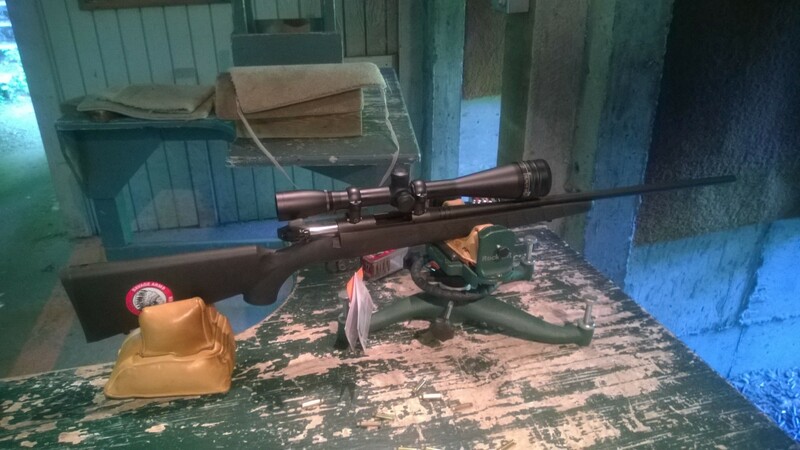 After mounting the scopes (Bushnell Banner 6-18x50, pretty much the only scope I use on non-benchrest rifles on A17 and Sightron 36x40BRD, the only scope I use on benchrest rifles on the B.MAG), and cleaning the rifles up, I headed to the range. Speaking of cleaning, both rifles have unconventional internals. 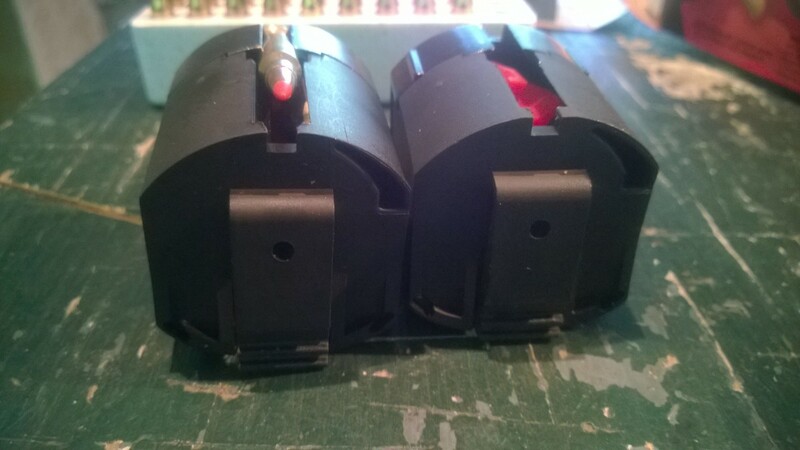 Here is the A17 teardown, and here is how you take apart the B.MAG. 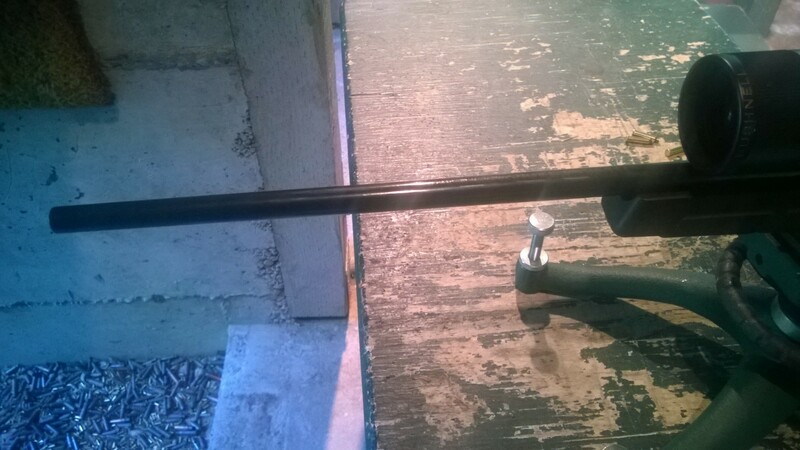 Though the pictures were actually taken AFTER the visit to the range, you might want to take yours apart before. In particular, my A17 was packed with grease, and, of course, you ALWAYS need to clean the bores of the new rifles before shooting them. When you first handle the A17, the first thing that jumps at you is the beautiful glossy finish. It is similar to the "royal blue" found on S&W, Manurhin, and Colt revolvers. The second thing? Big, ugly, plastic bolt handle. Unfortunately, the recoil system cover is also plastic. 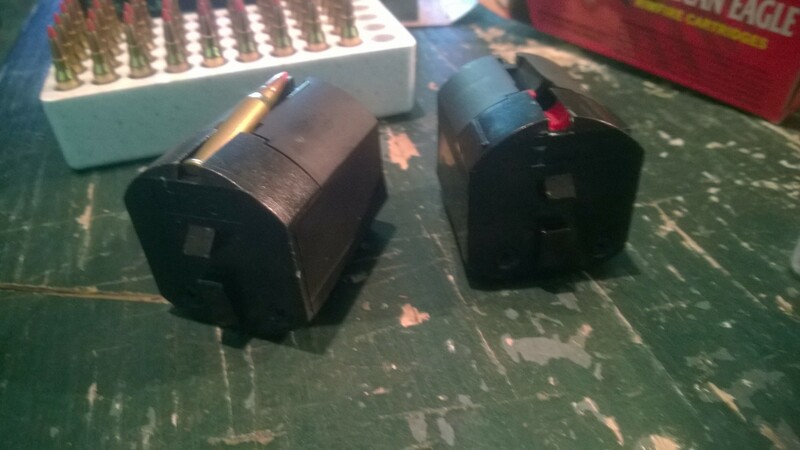 At the range, the results were passable for a semi-auto. 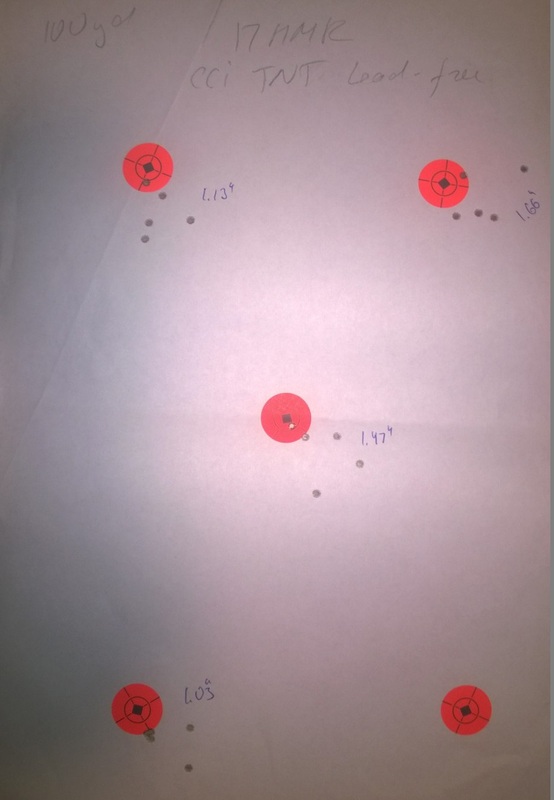 At 100 yards shooting 5-shot groups, the results were better for CCI TNT Green ammunition (1.13, 1.66, 1.47, 1.03), and worse for Hornady (2.09, 1.92, 2.05, 2.45). 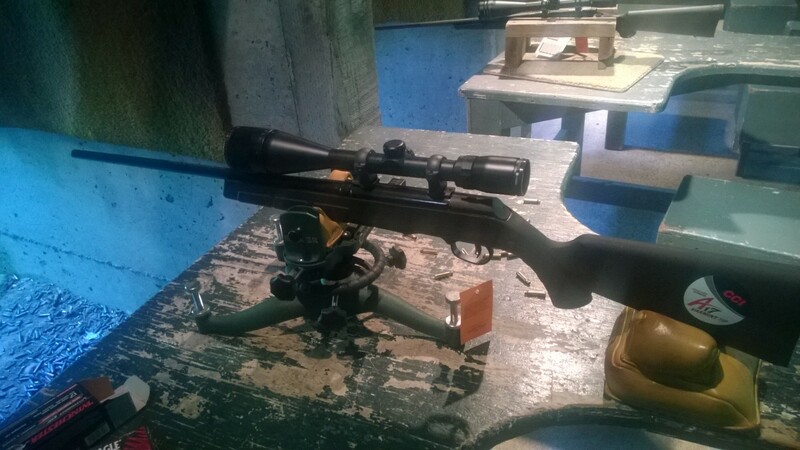 This is definitely not a benchrest performance, but passable for a hunting rifle. And here it is shooting a 5" 10-shot group at 200 yards. 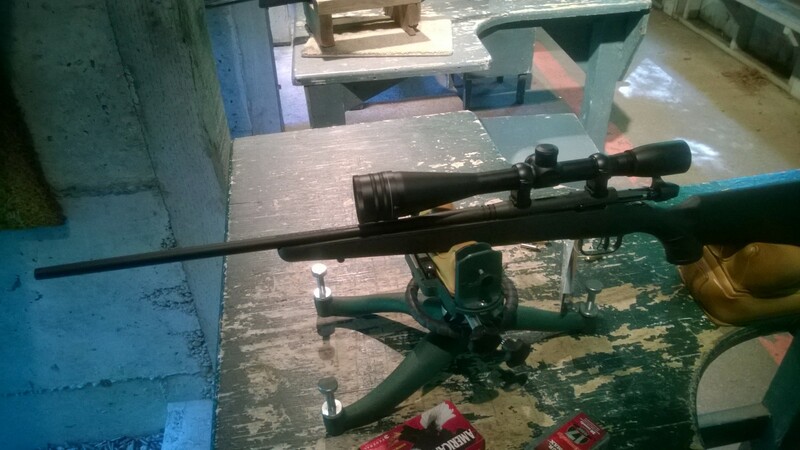 With an 11" drop (zeroed at 100yd). 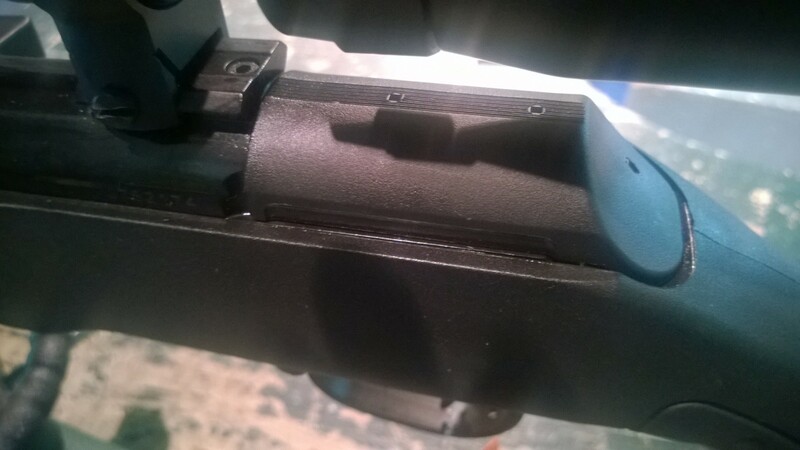 One thing to note - while Savage calls the A17's trigger an "Accutrigger", and it has the Accutrigger's trademark safety feature, the trigger is creepy, springy, and resembles the trigger on the cheap semi-auto 22s much more than the real Accutrigger. Overall, the A17 would be a great rifle in the lower $200 price range. Given its wholesale in the low-to-mid 300s, and therefore the street price likely to be just at or above $375, I think there are better way to spend $400 on firearms. One can buy an AXIS HB for much less - though they don't make it in sub-22 calibers. The first thing one notices about the B.MAG is its thin, very thin barrel. I did not measure it, but it looks like it might be actually thinner than the one on MKII-F. Ultimately, this is this rifle's undoing - but more on this later. Look, the internal channel is JUST 0.17"! 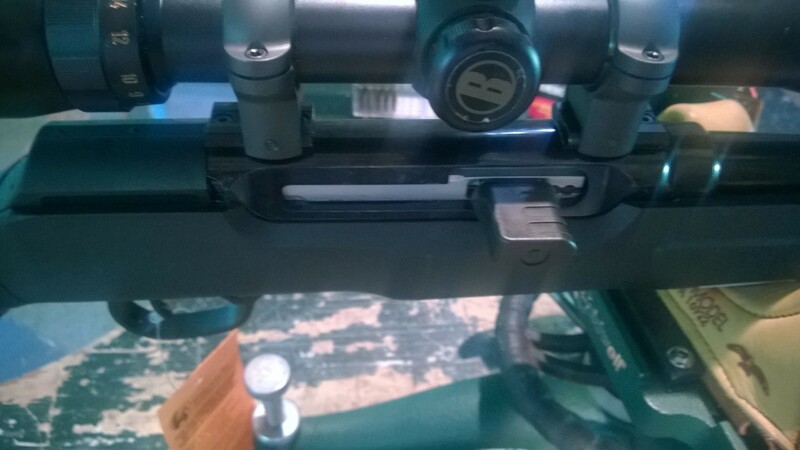 The other thing that you will notice right away is the non-obvious way where the barrel and the receiver are joined. 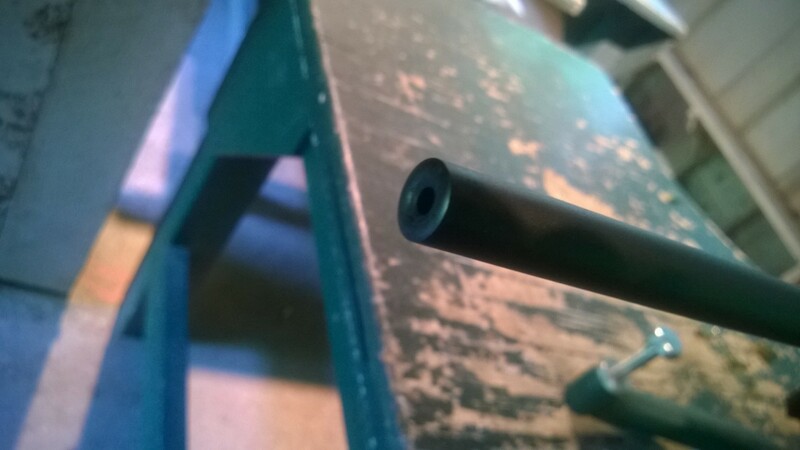 The joint is masked by the strange grooves cut into the barrel. 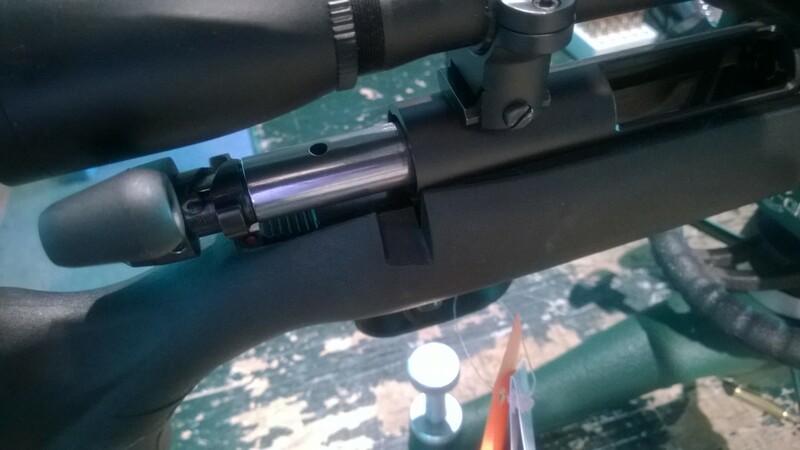 The bolt on the rifle is the most unusual thing in its design. 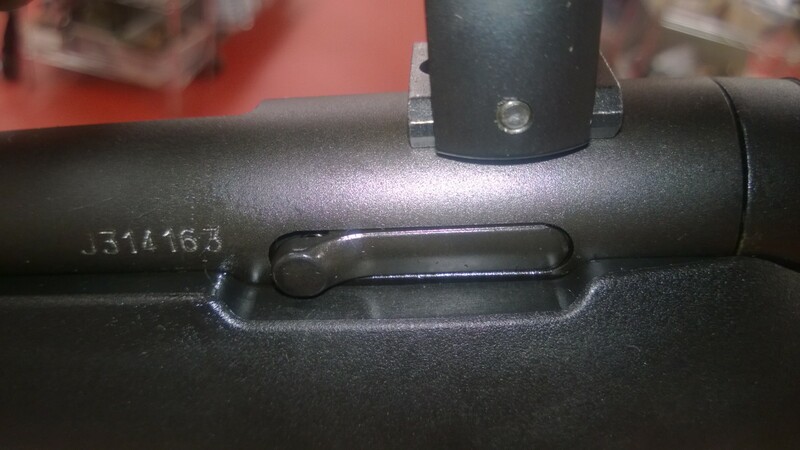 The recoil lugs are at the rear of the bolt, and the cocking happens not on closing, but when you push the hand downward. The claim is that this was the only way they could make the striker pin indent the heavier cartridge enough for reliable ignition. Because of this, closing the bolt is actually very, very stiff. 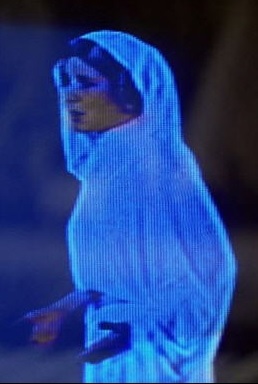 I would even go as far as to say - uncomfortably stiff. This is probably because the bolt handle is short, so there is not much leverage. 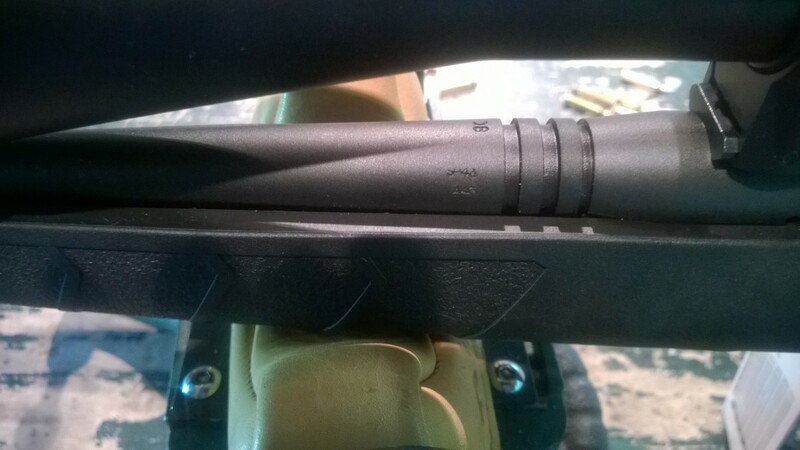 The other deviation from standard Savage design is the way the bolt is released. Instead of pressing on the trigger and the release lever (or button), the release on this rifle is just like the Mauser design. You press on the button, and the bolt is free to slide out. I have shot 3 types of ammunition from this rifle - Winchester 20gr, Winchester 25gr, and American Eagle. The results were...not really amazing. 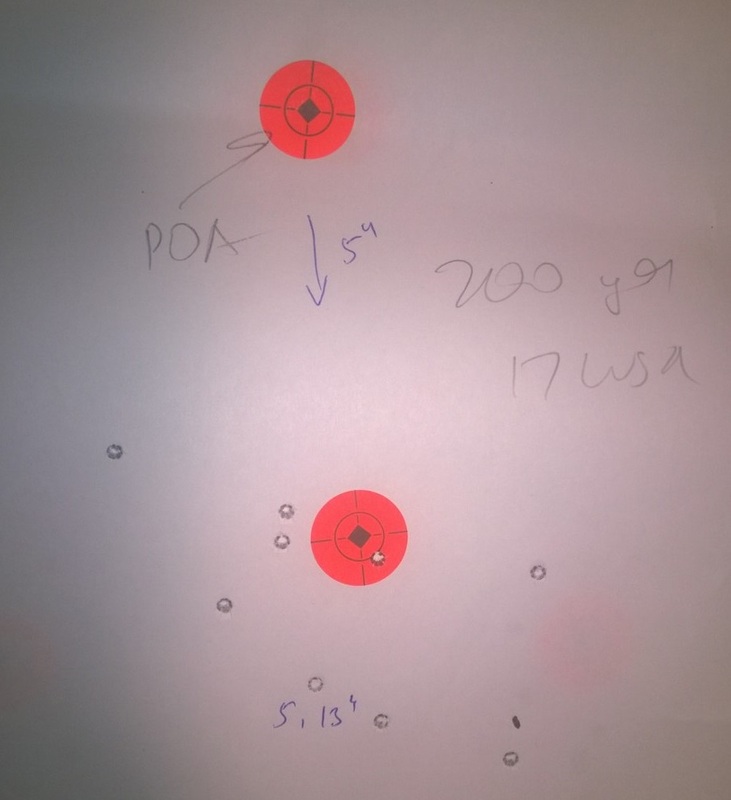 The first group out of the rifle, using Winchester 25gr ammunition was good - 0.74" (all groups are 5-shot @ 100yd). 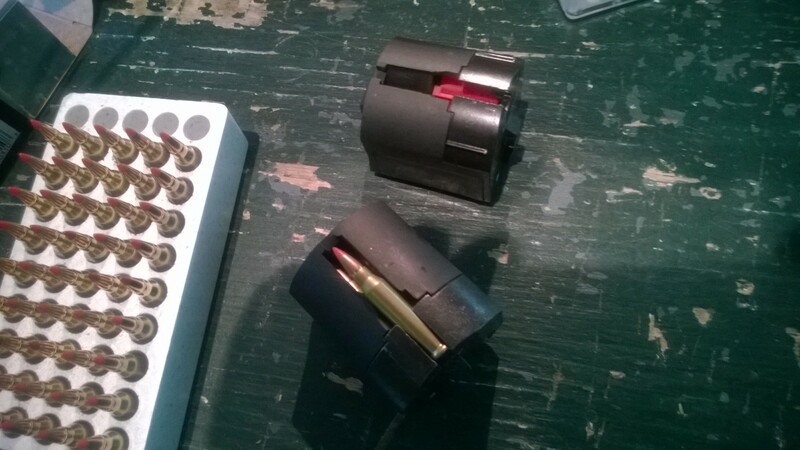 Then the groups were 2.57", 1.67", 2.44", and 1.46". After a few groups the barrel heated to the point of uncomfortable to the touch. 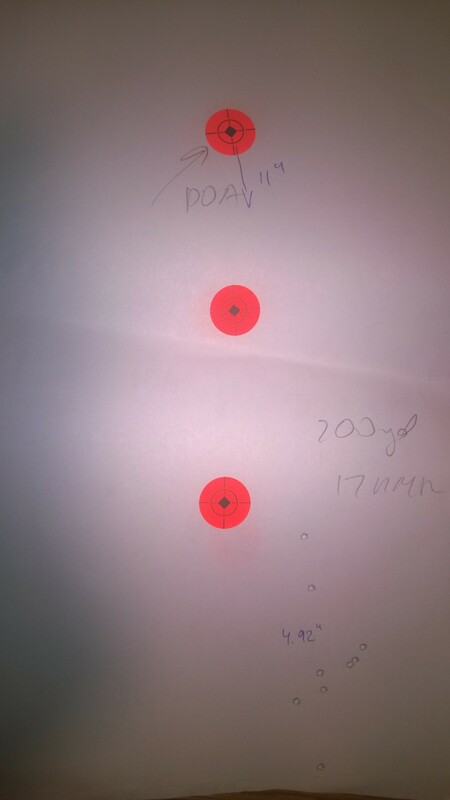 After cooling the rifle down (see above target for 17HMR - I was shooting the A17 while waiting for the barrel to cool), two groups were 1.5" and 1.95" with the same ammunition. 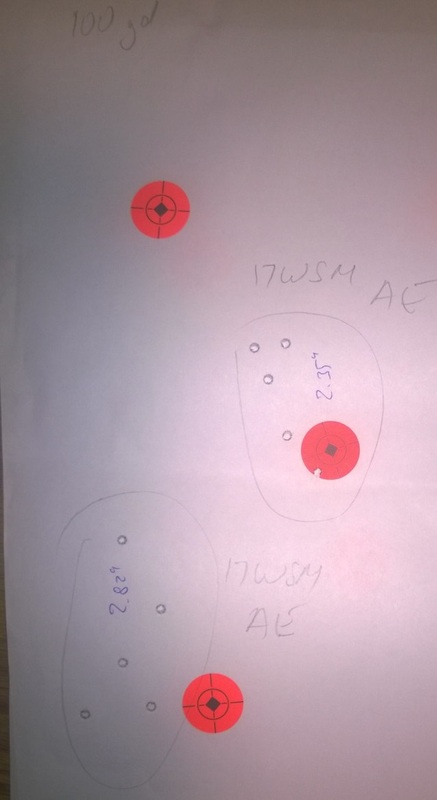 American Eagle ammunition was quite a bit worse - no groups below 2", and so was the case with 20gr Winchester. 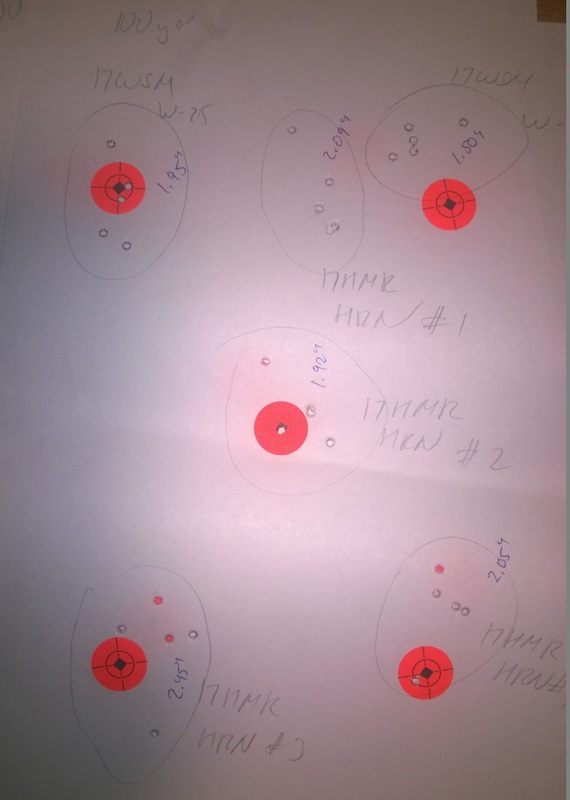 I then took the rifle to 200yd, and it produced a 5" 10-shot group. 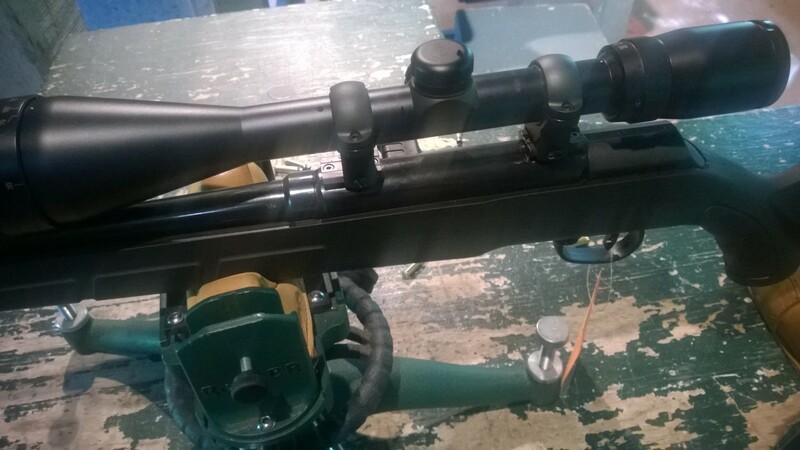 The bullet drop was only 5" - one half of that of 17HMR! So what does all this mean? 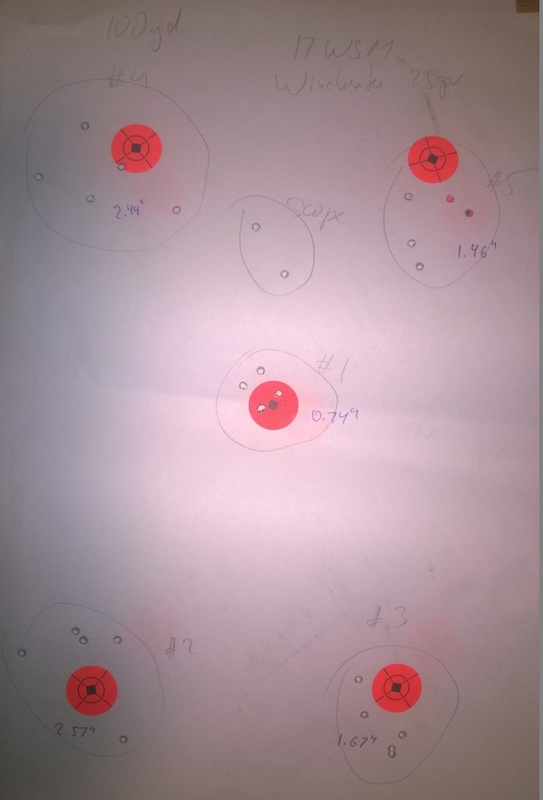 The accuracy is clearly not there - the cartridge is fast enough to take it to 200 yards, but 5" shot groups aren't good for target shooting, and neither they are sufficient for hunting anything that is small enough for the .17 caliber. Unfortunately, with this and the uncomfortable bolt, I have to declare this rifle a failure. A bull barrel which would heat slower might rescue the 17WSM enterprise, but this appears to be the caliber's only hope. Meanwhile, we are putting our stock of B.MAGs on Gunbroker with a penny starting price, and we don't plan to buy any more of these rifles for our store. See the auction here.